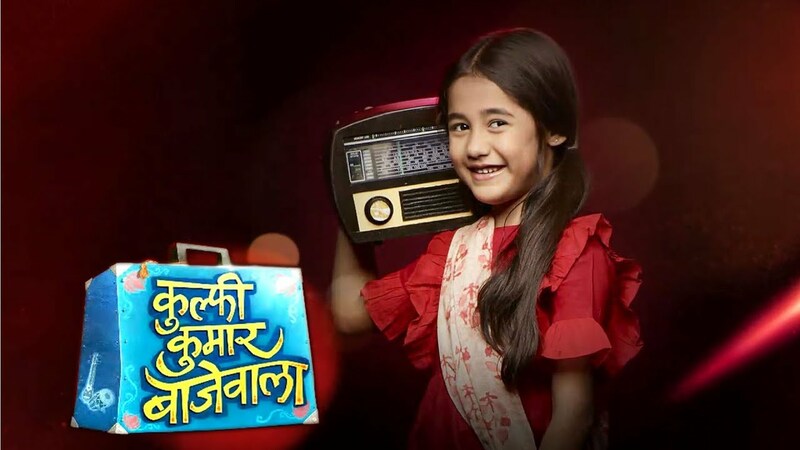 In the latest episode of Kulfi Kumar Bajewala 7th November 2018, Kulfi first day in school. Today’s episode begins with Lovely said that Kulfi it’s a big day how are you felling. Kulfi said unbelievably. Lovely said you just have met principle and you have not met other students because they are younger for us. They all are talking in English and you did not know the language. She reminds to Kulfi that she gets another chance so do not do anything that you will be scolded by principle, Kulfi starts getting nervous. Kulfi and Amyrah reach school. Lovely said to Kulfi all the best go ahead Amyrah will follow and smile a bit. Amyrah said to her mom that why are you helping her, Lovely said that you just go to school and make sure that she comes out crying. Kulfi enters at school, nervously she thinking about what Lovely said to her Kulfi hugs her and asks that way in your class, she said come with me, Amyrah told that there is your class for the kids, not mine so bye. Kulfi enters the classroom and she saw that there are only elders one are there in the classroom. After this she said that Oh these are your younger then Bholi, Kulfi gets very nervous. Maam enters in the classroom after this principle enters and she introduces to kulfi. Kulfi is not allowed by fellow students to share the seats so she sits alone. To saw this she fell so alone and sad. She was confused that she says to her mam that she has no papers to make decoration, mam said that no worries it is your first time to join the other students. To saw this so many students make fun of Kulfi. she sits at an empty space and said that I will paint here as I use to a village. Sikander was cleaning his music room, to saw all this Tevra decided to join his. Sikander says that don’t worry I will manage. Precap: Everyone sings and dance, all are enjoying the festival of lights that is Diwali.